Chloe Zee Foundation, (Chloezeefoundation.com) makes no representation that materials in the site, including merchandise offered for sale on the site and their trademarks, patents, and licensing arrangements, are appropriate or available for use in locations other than the United States. Those who choose to access this site from locations outside of the U.S. do so on their own initiative and are responsible for compliance with local laws, if and to the extent local laws are applicable. With respect to shipments of merchandise to consumers, wherever they may reside, title to the merchandise shall pass to the buyer upon delivery of the merchandise to the common carrier. All material on this site, including images, illustrations, and special surveys, sweepstakes, games, and promotions, is protected by copyrights which are owned and controlled either by Chloe Zee Foundation, (Chloezeefoundation.com), affiliated entities, or by third parties who have licensed their material to any of them. Material from www.Chloezeefoundation.com may not be copied, downloaded, reproduced, republished, uploaded, posted, transmitted, or distributed in any way. Modification of the materials or use of the materials for any purpose other than your own personal, non-commercial, home use is a violation of the copyrights and other property rights held by Chloe Zee Foundation, (Chloezeefoundation.com), or affiliated companies. The use of any such material on any other Web site or networked computer environment without the express written consent of Chloe Zee Foundation, (Chloezeefoundation.com) is prohibited. The trademarks, logos, and service marks (collectively the “Trademarks”) which you see on this site are registered and unregistered trademarks of Chloe Zee Foundation, (Chloezeefoundation.com), its affiliates, and others. Nothing in this site grants to you any license or right to use any Trademark displayed on this site without the express written permission of the owner of the Trademark. Your use or misuse of the Trademarks displayed on this site, or any other content on this site, is strictly prohibited. This site is owned by Chloe Zee Foundation, (Chloezeefoundation.com), a Florida company with a principal place of business located at 1470 Clearwater Court Lake Mary, Fl 32746, USA. The phone number is 407-923-2023. This site is managed by Chloe Zee Foundation, (Chloezeefoundation.com) Corporate Headquarters is located at 1470 Clearwater Court Lake Mary, Fl 32746, USA. The phone number is 407-923-2023. Chloe Zee Foundation, (Chloezeefoundation.com) welcomes your comments regarding our merchandise and services, including our Internet site. However, any notes, messages, billboard postings, ideas, suggestions, or other material which you submit to Chloe Zee Foundation, (Chloezeefoundation.com) will become property of Chloe Zee Foundation, (Chloezeefoundation.com) and Chloe Zee Foundation, (Chloezeefoundation.com) shall be entitled to use any kind and nature of material which you submit for any type of use forever including in any media whether now known or hereafter devised. When you submit material to Chloe Zee Foundation, (Chloezeefoundation.com) site, you agree that Chloe Zee Foundation, (Chloezeefoundation.com) has the right to publish the material for any type of use as outlined above including for promotional and advertising purposes, without compensation to you of any kind. As a result, we must ask that you do not send us any original creative materials such as stories, original artwork, or methods of effects. You agree to indemnify Chloe Zee Foundation, (Chloezeefoundation.com), Chloezeefoundation.com, their respective shareholders, officers, directors, employees, agents, distributors, vendors, and affiliates from and against any and all third party claims, demands, liabilities, costs or expenses, including reasonable attorneys’ fees, resulting from your breach of any of these terms and conditions. We are privileged to have you as a customer, and as in any valued relationship, we place great emphasis on your privacy and your wishes. When you use your credit card to shop at Chloe Zee Foundation, (Chloezeefoundation.com), your transaction is secure. We guarantee it. Our servers use advanced encryption technology that safeguards your personal information. We’re guarded by physical firewalls as well as virtual firewalls. Credit card information is processed through PayPal’s systems as an added safeguard. In fact, shopping at Chloe Zee Foundation, (Chloezeefoundation.com) is safer than using your credit card over the phone or at a store in your hometown. Data about your activity while visiting our website is automatically provided to Chloe Zee Foundation, (Chloezeefoundation.com), when you sign on. It is used by us, in non-personally-identifiable form for internal purposes such as analyzing how our customers shop, where they spend the most time, and what types of merchandise they find most interesting. E-mail addresses and other personally identifying data is known only when voluntarily submitted or posted to us. Chloe Zee Foundation, (Chloezeefoundation.com) uses personally identifying data that you provide to us to tell you about carefully screened products which we feel may be of interest to you. If, at any point, you no longer wish to receive communications from Chloe Zee Foundation, (Chloezeefoundation.com), please forward such request to us by calling us at 407-923-2023. In addition, we will use your e-mail address and other personally identifying information to respond to you when you communicate with Chloe Zee Foundation, (Chloezeefoundation.com) For example, we respond to e-mail from visitors who have contacted us for specific purposes such as making a product inquiry or entering any of our giveaways or sweepstakes. We may also use the shipping and payment addresses of our customers to send them Chloe Zee Foundation, (Chloezeefoundation.com) print catalogs or similar direct mailings. Chloe Zee Foundation, (Chloezeefoundation.com) may include links to other Internet sites maintained by third parties for your convenience only (“Linked Sites”). Neither Chloe Zee Foundation, (Chloezeefoundation.com), its parent or subsidiary companies, nor their affiliates operate or control in any respect any information, products or services on Linked Sites which are not owned or controlled by an affiliate of Chloe Zee Foundation, (Chloezeefoundation.com) You access them at your own risk and by accessing them you completely leave Chloe Zee Foundation, (Chloezeefoundation.com) site. Chloe Zee Foundation, (Chloezeefoundation.com), whether or not it has a relationship with Linked Sites, is not responsible for the content on the Linked Sites and disclaims all liability for any injury you experience while you are in such Linked Site. THE MATERIALS IN THIS SITE AND ANY THIRD-PARTY SITES ARE PROVIDED “AS IS” AND WITHOUT WARRANTIES OF ANY KIND, EITHER EXPRESS OR IMPLIED. EXCEPT FOR PRODUCT WARRANTIES SHOWN IN TEXT FOR SELECT MERCHANDISE, Chloe Zee Foundation, (Chloezeefoundation.com) DISCLAIMS ALL WARRANTIES, EXPRESS OR IMPLIED, INCLUDING, BUT NOT LIMITED TO, IMPLIED WARRANTIES OF MERCHANTABILITY AND FITNESS FOR A PARTICULAR PURPOSE. Chloe Zee Foundation, (Chloezeefoundation.com) COMPANIES,INC. DOES NOT WARRANT THAT THE MATERIALS WILL BE ACCURATE, RELIABLE OR ERROR-FREE, THAT DEFECTS WILL BE CORRECTED, OR THAT THIS SITE, OR THE SERVER THAT MAKES IT AVAILABLE, ARE FREE OF VIRUSES OR OTHER HARMFUL COMPONENTS. Chloe Zee Foundation, (Chloezeefoundation.com) DOES NOT WARRANT OR MAKE ANY REPRESENTATIONS REGARDING THE USE OR THE RESULTS OF THE USE OF THE MATERIALS IN THIS SITE OR IN LINKED SITES IN TERMS OF THEIR CORRECTNESS, ACCURACY, TIMELINESS, RELIABILITY, OR OTHERWISE. 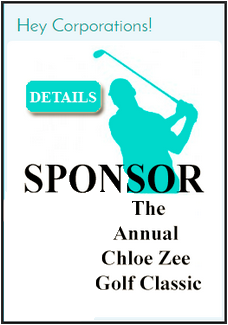 The material that you read in Chloe Zee Foundation, (Chloezeefoundation.com) site is provided solely for entertainment, promotional, and commercial purposes.